It was a night of Philippine fiesta-themed for the awards night of the annual RAWR Awards 2018 and was held last November 14 at Le Rêve Pool and Events Place in Quezon City. From its last year’s list of awards of 25, the awards this year has grown to 30 including special citations. Both the TNT Boys and the Queen of All Media Kris Aquino were recognized as the Royal Cub and the Royal Lion awardees. The Royal Cub Award recognizes young individuals or groups that exhibited excellence in their craft and have earned respect for their passion and talents that they have shared to the world. Meanwhile, the Royal Lion Award is a distinct honour for someone who has shown courage beyond all odds. Though hard to find like a precious gem, still that individual sparkles in all aspects. 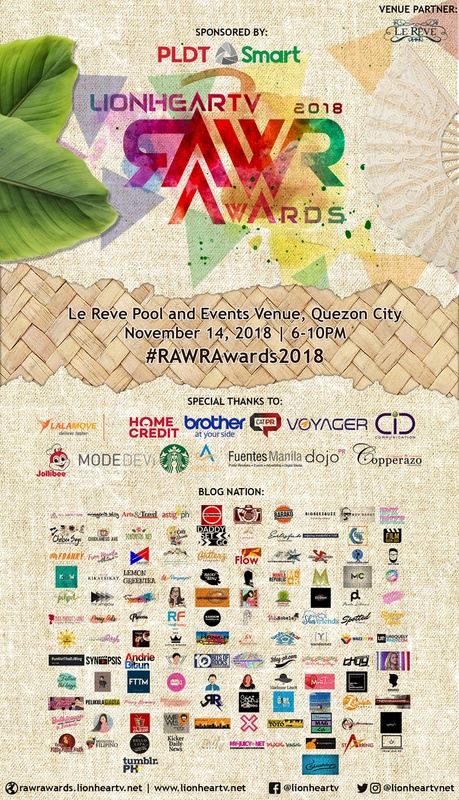 LionHearTV’s RAWR Awards honor and recognize the Best and the Brightest in the Philippine Entertainment industry every year. KaladKaren Davila returned onstage to host the fourth edition of this blogger and Netizen-empowered awards.